↑ Shevyrev, A.A. (2005). 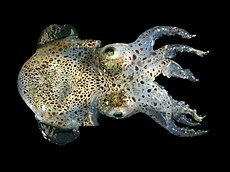 "The Cephalopod Macrosystem: A Historical Review, the Present State of Knowledge, and Unsolved Problems: 1. 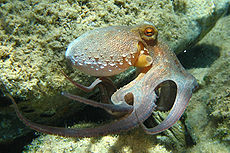 Major Features and Overall Classification of Cephalopod Mollusks". 'Paleontological Journal. 39 (6): 606–614. Translated from Paleontologicheskii Zhurnal No. 6, 2005, 33-42. หน้านี้แก้ไขล่าสุดเมื่อวันที่ 9 มีนาคม 2556 เวลา 10:20 น.